Cadbury’s chocolates produced in South Africa will soon have a halal emblem on its packaging following the completion of its halal certification process by the South African National Halal Authority (Sanha). The confirmation comes after VOC News received queries from Muslim consumers questioning the halal status of Cadbury’s, one of the most-well known chocolate brands in the country. One consumer, Nabawia Akemdien said she was disappointed that the company did not have any halal symbols displayed on the product packaging. After enquiries on the Cadbury website, she was contacted by a representative of the manufacturer Kraft Foods in East London, who informed her there was no intention to display a halal symbol. Grebe said Kraft Foods operates under strict guidelines regarding products, quality and safety. “We comply with national, as well as local, health regulations and conditions for the manufacturing of food products. Any additives in our products are safely tested and approved for use by relevant local food regulators and are listed on all products as per regulations,” she said. Sanha PRO Ebi Lockhart said the halal certification body were currently processing their application and the halal logo will appear once the application is concluded. “We presume that they are being prudent while this process is being undertaken. 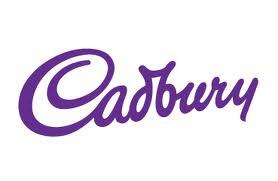 Based on the information at our disposal, the Cadbury products manufactured in South Africa are halal suitable”. VOC News first approached the Muslim Judicial Council Halal Trust (MJCHT), who said it received queries from the public on the halal status of Cadbury’s “on a daily basis”. However, the halal authority does not certify any Cadbury’s products and does not have the product detail of the products. MJCHT senior halal consultant Sheik Moosa Titus said a few months ago, there was a major issue regarding shellac, an ingredient used in chocolates and other food products. Shellac is a resin secreted by the female lac bug, on trees in the forests of India and Thailand. It is processed and sold as dry flakes, which are dissolved in ethyl alcohol to make liquid shellac, which is used as a brush-on colorant, food glaze and wood finish. “The MJC Fatwa Department in January 2010 completed and finalized its extensive research on the subject of Shellac. We have concluded that shellac is Taahir and halal and that it is permissible to be used in the preparation of halal foods and other halal products,” he explained. Still they didn’t put halal sign on their products so? Should we keep eating their products? This is a very good question Hassan. I’m a religious leader and people ask me the Cadbury question so much. I can only advise to practice caution where doubt is found. Allah knows best. Perhaps a further investigation should be done on each ingredient and we can’t do more than that.